Proceeds help send children who stutter from families-in-need to our national summer camp, Camp SAY, as well as the George Springer MVP Camp SAY in Houston. ￼￼￼￼￼￼￼￼￼￼￼￼￼￼Click here to learn more about Camp SAY. 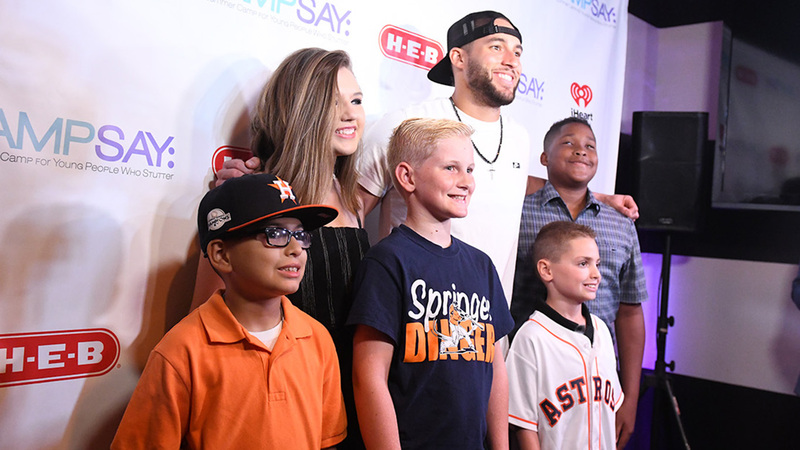 Join us for Cocktail Reception, mingle with George Springer, Celebrity Lane Captains – fellow Astros, other pro athletes & celebrity friends & enjoy a memorable night of bowling fun. Artwork and payment for Program Ads must be received by June 10, 2019. This fund was established to offer financial aid for Camp SAY to families-in-need, ensuring that children of all socioeconomic backgrounds have access to camp. Proceeds from this Bowling Classic are create life-changing summer experiences for so many children. 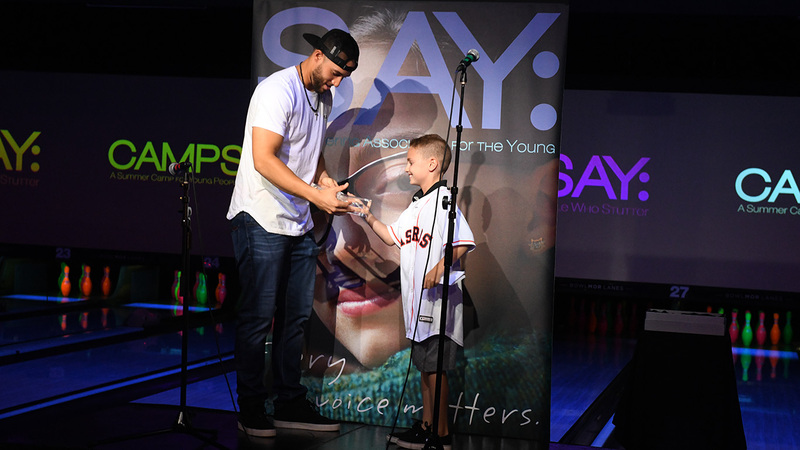 Learn more about CAMP SAY Spokesperson George Springer. Learn more about the George Springer Kids Fund or Camp SAY. Image appearing at top is courtesy of the Houston Astros.